Mike and started the week with some takeout Chinese BBQ and I have a feeling that we’re going to have some again this weekend as well. It’s been a takeout kind of week. Not that we’ve actually eaten takeout at all (other than that one time), but this week has just been killer. I need some trashy food and weekend waffles, stat! 1. This spoke to me. 2. Kale hired a PR company to make it cool and it worked. 3. Ice cream sandwich guide! 4. Do you know the four distinct chicken McNugget shapes? 5. Have you seen this grocery store?! 6. Neatly deconstructed comfort food. 1. My kinda bar: grilled cheese! 2. I can’t get these breakfast sandwiches out of my mind. 4. Lucky Charms ice cream, yes please. 5. These gluten-free orange and chocolate doughnuts look amazing. 1. Check out this crazy wireless charging that Ikea is going to be releasing soon. 2. These colanders make me smile. 3. I kinda wanna carry a slice of watermelon with me all year. Hope you guys have a lovely one! WHAT! 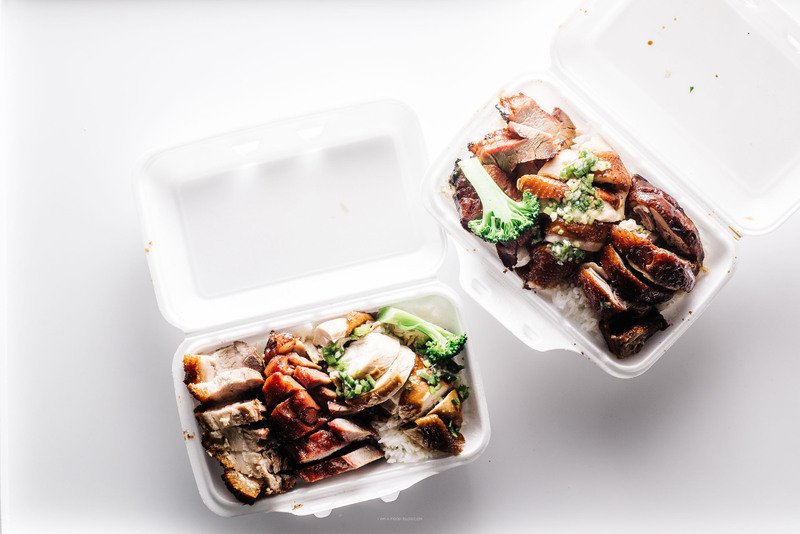 how do you manage to make takeout in a styrofoam container look that awesome? you’re magical. omg I second Molly!!! I LOVE that photo! and also, these links, as always — SO awesome. The mcnuggets shapes, WHAT! I feel like I always..kiiiind of knew they came in shapes, but to actually see those uniform cookie cutter nuggets… whoa. (But I still love them.) And of course, all the food links… heart eyes emojis everywhere! Happy weekend, Steph!! Whoa. That kale article is FASCINATING. It’s crazy that, as consumers, we think we’re making all these independent choices but really there are so many forces at work that affect the way we think. Remember that scene from the Devil Wears Prada where Meryl schools Anne Hathaway about the color blue of her sweater??? Just me? K I’ll shut up now. I third Molly and Cynthia! You are amazing. Always love your links and CANNOT wait for freakin’ wireless charging. Somehow I feel like it’s awesome and scary at the same time but more awesome than scary. Also, good on Kale–sometimes you’ve gotta do what you’ve gotta do. YES to all those food links. I’m dying for some lucky charms ice cream!! 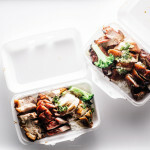 You make chinese take-out look gorgeous! Aldi stores are pretty commonplace where I live. I like them for some items but not others, the prices are good though so when I need a few quick things I like to go there. The cart deposit is only a quarter. It’s awesome that there’s an American Kale Association. Speaking of awesome, Aldi! I do about 25% of my shopping there for my basics like baking supplies, some spices, and canned beans/tomatoes. The produce is sometimes hit or miss but usually during the summer I end up buying the majority of it there because it’s so reasonably priced and identical in quality to other grocery stores. I wish we had more marketing for actual foods, like kale as opposed to soda, than we do. Very interesting article. i hope these are from hk bbq master in richmond! loving all the links! Your links are always the best! Good food AND good stories. I’m all over it. Also, ALDI. Until I read that article, I was totally unaware that Aldi stores were an unknown thing. I’ve grown up next to three of them my entire life, and they truly are glorious as the article makes them out to be! Have a lovely weekend Stephanie! I grew up with Aldi! It is a unique experience here in the US for sure, but I love it. Gotta be HK BBQ Master right? The lone piece of broccoli gave it away!